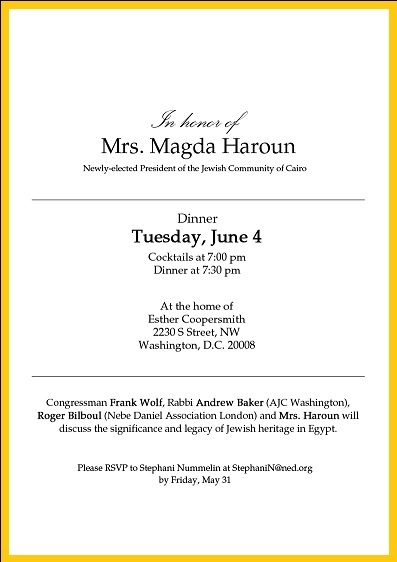 In an effort to aware the public at large of the existence of an Egytpian Jewish community, JCC President Magda Haroun embarked on a "reaching out" policy extending a hand to all other Egyptians sharing in their sorrow and joy. As a first step in this new path Haroun attended Coptic Easter celebrations at the Cairo Cathedral sharing friendly thoughts with HE Egypt's Coptic Orthodox Pope Tawadros II. 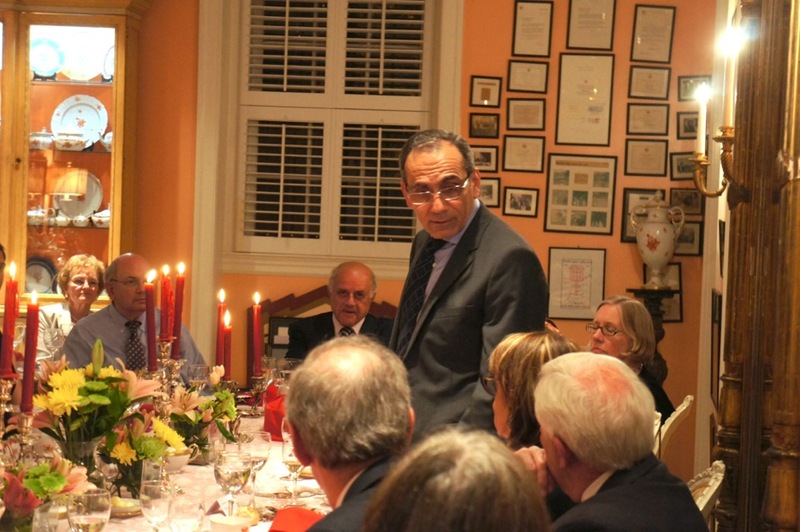 The newly elected JCC president was a guest at the annual American Jewish Committee (AJC) global forum which took place in Washington DC early June attended by Jewish representatives from 50 countries. After giving an emotional short talk during the 'Presidents of Jewish Communities' gala event, Magda Haroun was warmly congratulated by many of the participants including curious attendees who did not realize that the birthplace of Moses still had a Jewish community! 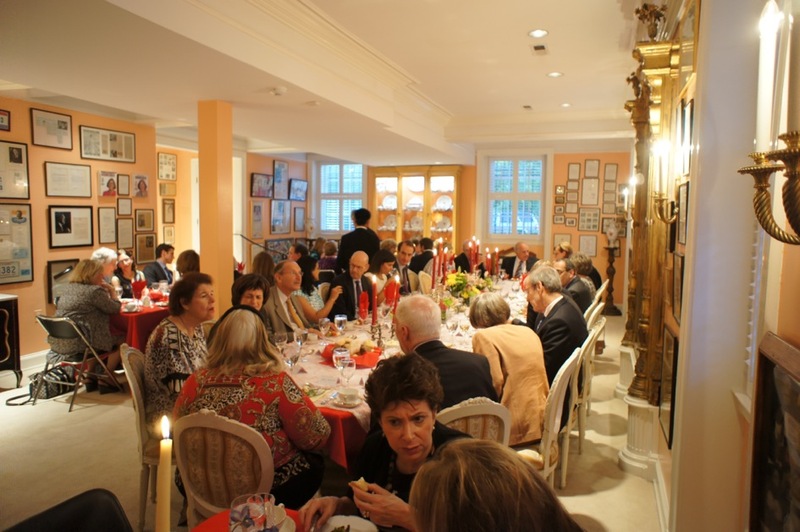 A small group of participants were invited to dinner at several ambassadors� residences. 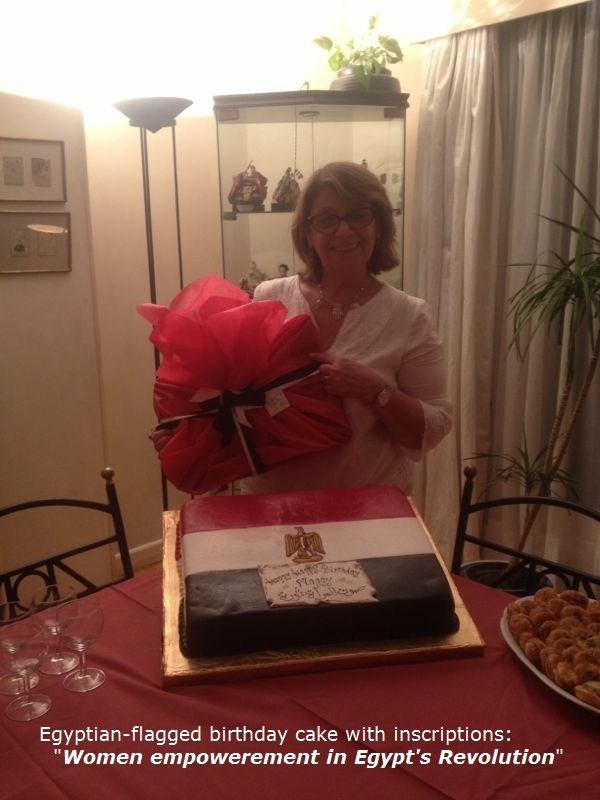 JCC president Magda Haroun was guest of honor at a lovely friendly dinner hosted by Egyptian ambassador Mohammed Tawfik and his lovely wife in their outstanding residency in the American capital. 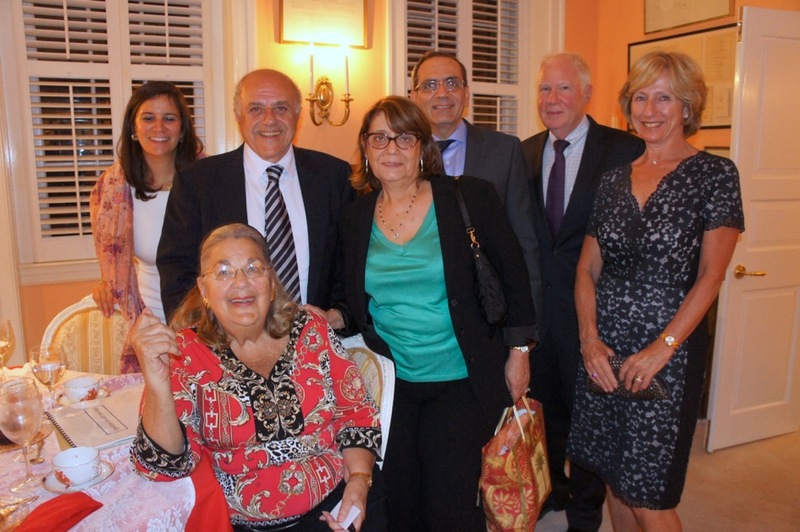 Another dinner was held in the home Mrs. Esther Coopersmith (former UNESCO goodwill ambassador) attended by Egyptian ambassador, Mr. & Mrs Roger Bilboul of the (Alexandria) Nabi Daniel Association and Rabbi Andrew Baker (AJC's director of International Jewish Affairs). 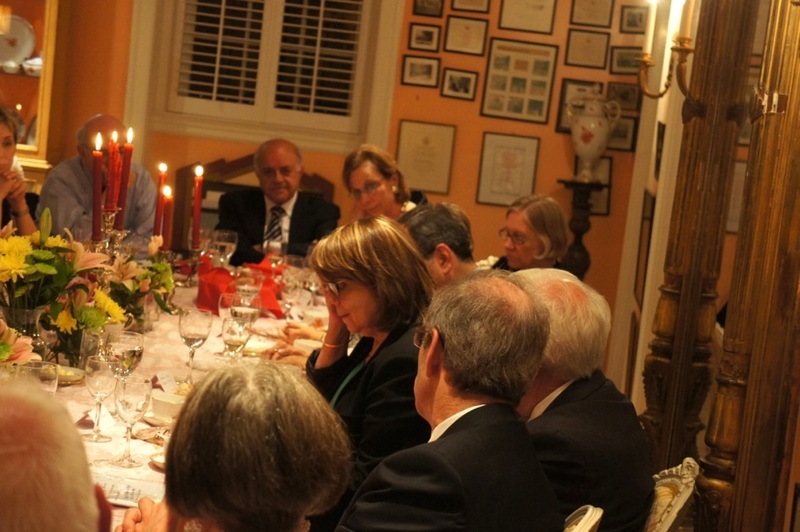 The dinner's culminating point was the JCC president's emotional impromptu speech "straight from the heart" in which she candidly shared her thoughts on the Arab Spring and a rising new Egypt and sadly, "the probable demise of its oldest community." "Egypt is entering a new era in its long history, an era where hopefully all its citizens will be onsidered equal regardless of their color, political affiliations and religious beliefs." It was also an appropriate moment for the JCC president to extend her best wishes to Um al-Dunya for a bright future governed by freedom, social justice and prosperity. 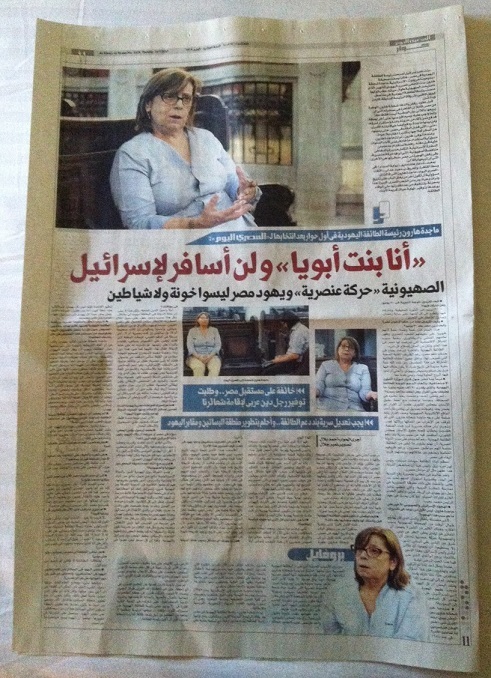 JCC president Magda Haroun was born 11 days before the 23 July 1952 revolution which toppled Egypt's monarchy. The country would never be the same again. 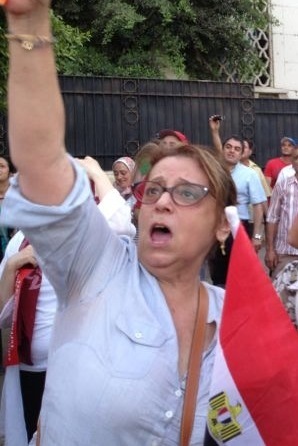 By the time Haroun celebrated her 61st birthday, Egypt had once again turned upside down when, on June 30, mobilized by the Tamarod Movement, a quarter of the Egyptian population took to the streets calling for the removal of the Muslim Brother leadership and its inept government. Haroun was among the millions calling for the introduction of an all-new all-inclusive civilian Constitution that genuinely represents the 25 January (2011) revolution, upholding equal rights and opportunity without differentiating between Egyptians on the basis of religion or race.